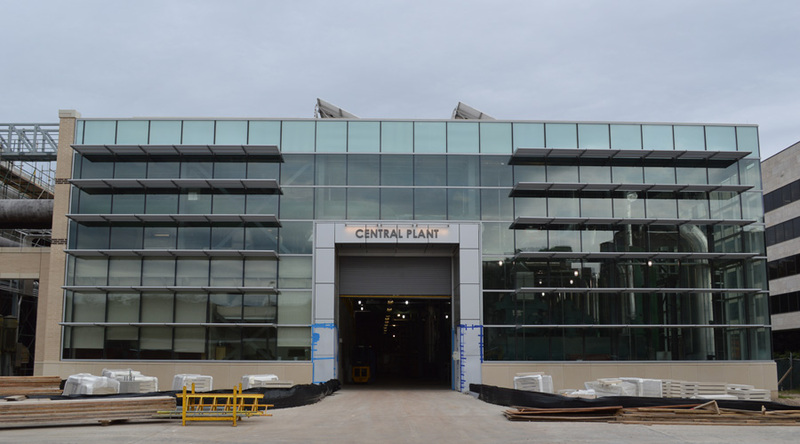 The plant expansion is approximately 11,000 square feet of floor and mezzanine. 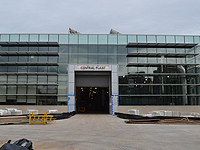 The expansion includes the addition of office space plus three chillers and pumps at the first floor, with electrical and mechanical equipment on the mezzanine. 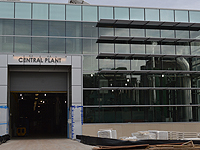 In addition, three new boilers were added in the existing plant, and a new utility tunnel was constructed to connect the plant addition to an existing tunnel. 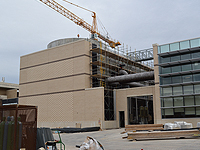 Also, five new cooling towers with sumps are being constructed, plus a water treatment building. The phasing of the project construction was a challenge for this project. The new cooling towers are partially replacing existing, requiring the demolition of existing towers. Since cooling capacity needed to be maintained throughout construction, the demolition of existing towers had to be sequenced, resulting in the phasing of new tower construction. 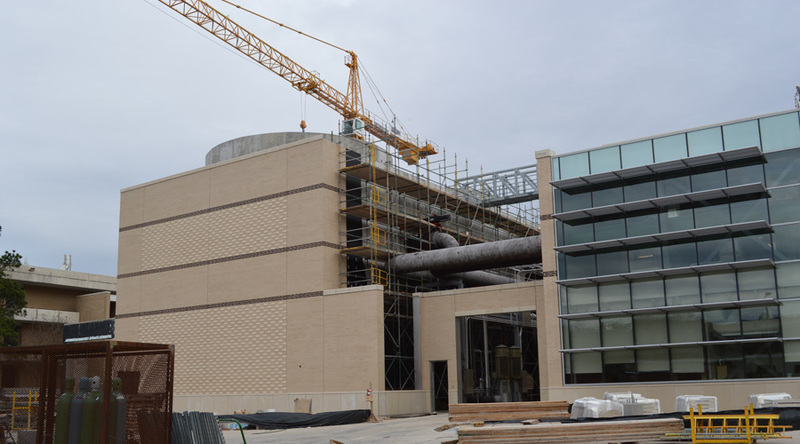 Other challenges included the construction of cooling tower sumps near the existing building and addition, requiring temporary retention. 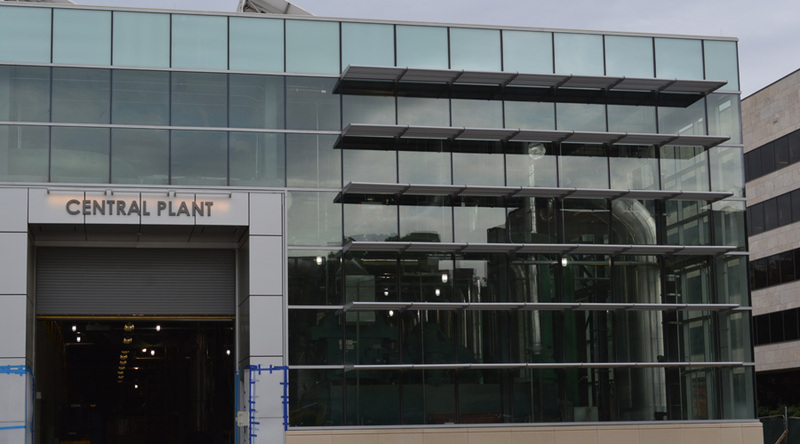 Also, the building expansion had to consider the mechanical equipment and the ability to pull tubes on the chillers and future access to the new and existing plant equipment. In addition, the new utility tunnel route was affected by existing obstructions and site planning. 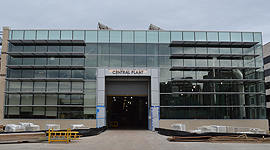 The plant addition consists of structural steel, with composite construction utilized at the mezzanine. The roof utilized concrete placed on a metal form deck supported by steel beams. The exterior of the building is a combination of window wall and masonry construction. The lateral system consists of diagonal braces. The tunnel consists of cast-in-place concrete. The cooling towers and sumps are also cast-in-place concrete. The water treatment building utilizes load-bearing CMU walls supporting hollow core planks at the roof.